Kelly became one of the latest recruits to our Customer Services team. 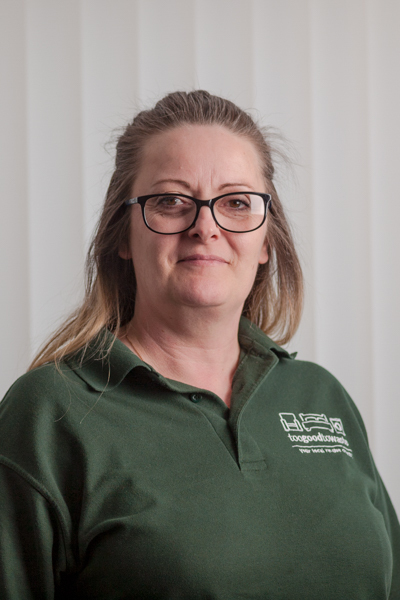 Working principally from the Aberdare branch, Kelly started as a volunteer and moved to our employed team in July 2017. She helps the rest of the team assist customers and ensures that the showroom is looking its best. In addition, she helps the volunteers and placements throughout their day. A personal highlight is watching the volunteers gain in confidence with a view to moving on to employment. When she is not helping us, Kelly enjoys cleaning, reading, driving, watching TV and socialising.